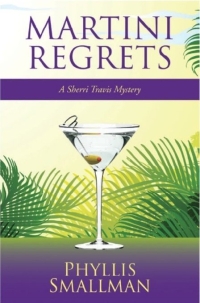 Martini Regrets opens at night in the Florida Everglades, goes to the orchid ball in Sarasota, and culminates on a remote barrier island in the Gulf of Mexico. It’s almost midnight and Sherri Travis is about to take Alligator Alley across the Everglades when she realizes she’s low on gas. She turns off the main road and into the swamp to find a service station on Last Chance Road. Her pickup is carjacked and Sherri is left alone at night in the Glades. Hiding from dangerous men and in terror for her life, she stumbles across the body of a man. From alligators and snakes to the men called swamp rats, evil comes in many disguises and offers no second chances for Sherri.